Bill Schumann's leadership skills touched the one of the first snowmobile clubs in Illinois, the Settle Inn Players" which he founded, as well as 90 other local clubs he helped unite into a positive force to promote snowmobiling in his home state. This leadership extended to the Illinois Association of Snowmobile Clubs (IASC) which he served an unprecedented five terms as president. Schumann worked hard through the IASC to build a strong relationship with snowmobile manufacturers to promote the sport. He urged the IASC to support the industry's Safe Rider program and worked closely with the Illinois Department of Natural Resources and the state legislature to improve snowmobiling. During Schumann's presidency the IASC clubs received over $67,000 in grant funds from the Illinois Department of Conservation to improve their trail systems. His working relationship with the Department of Natural Resources resulted in a new state snowmobile trail map, assistance for club operation and maintenance costs of groomers used on public trails and a change in the assistance formula for government grants which provided major incentive for local governments to become involved in local snowmobile projects. Schumann chaired and hosted the IASC's 1993 meeting. This snowmobiling ambassador also served in numerous capacities for the Northeastern Illinois Association of Snowmobile Clubs and as a member of the Blue Ribbon Coalition. He worked continuously to improve the image of snowmobiling, at one point, arranging for CNN to return to Illinois to do a more positive story on the sport. 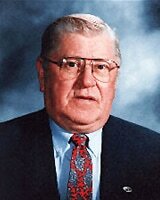 He was inducted into the Iron Dog Brigade in 1992 and was chairman of its Auditing Committee in 1995 and 1996. Schumann lead the Lake States Resources Alliance, an important watch dog group, in 1996. He is a charter member of the Antique Snowmobile Club of America (ASCOA), becoming its president in 1993. That same year he coordinated the reenactment of the first Eagle River, Wisconsin Snowmobile Derby with original sled and, in 1994, involved the ASCOA in the International Snowmobile Congress. His unselfish dedication to the sport of snowmobiling brought him the Scott England Award which he had established, the 1995 U.S. Snowmobiler of the Year Award, the ASCOA Distinguished Service Award and the national Harry Knoll Award for outstanding service. He remains active in snowmobile associations in Illinois, Wisconsin, Michigan, Minnesota and Iowa. The former owner/operator of Schumann Oil Equipment Co. in Arlington Heights, IL was also active in his home community's civic and fraternal organizations and, at the same time, able to give a good portion of his life to the fun and sport of snowmobiling. Many who knew Nina Smith consider her the "First Lady of Snowmobiling" because of her passion for the sport which spanned 16 years. Smith, who died from an unexpected illness Nov. 1,1989, was active nationally in the mid to late 1978 when the long term future of snowmobiling was at stake. She became an expert in the use of public lands for recreation and fought tirelessly for the rights of snowmobilers to such lands. This gutsy lady overcame numerous political and environmental challenges to become an effective force with the U.S. Forest Service, the National Park Service and the Bureau of Land Management. Because of her vast knowledge of land use, she was called to Washington, D.C. twice to testify before the U.S. Senate. Her views were respected and valued by the Montana delegation as well as by state and federal land management agencies. During the period when the park service was trying to ban the use of snowmobiles in national parks, Smith struck an alliance with the Yellowstone Park superintendent who later stumped the nation to talk about how snowmobilers had little or no impact on wildlife. Those who worked with Smith consider her one of two or three people responsible for the state of Montana having very special kinds of opportunities available for resident and nonresident snowmobilers. "There are areas open to snowmobilers in Montana because of her uncommon abilities to speak in behalf of snowmobiling," one of her nominators wrote. Smith is considered solely responsible for the 125-mile Big Sky Trail, a first of its kind corridor trail allowed by the U.S. Forest Service in Yellowstone Park through federally-protected wilderness areas. She was successful because of her uncommon ability to compromise on major issues. In her own words, "We will be fair...and everyone will be a winner. That's what it is all about." Smith was a grassroots volunteer appointed to the National Park Service Task Force on Snowmobiling, the Regional Steering Committee on the Resource Protection Act, the Bureau of Land Management's Citizens Advisory Council, Missouri River Basin Commission, Rural Areas Development Subcommittee on Recreation in Montana and the Governors Ad Hoc Committee on Forest Resources. She was a co-founder of the Montana Snowmobile Association (MSA) which granted her lifetime membership. She was that group's first woman president and served on its public lands committee for ten years. Smith also headed the MSA's Land Use Committee and was its delegate to the Western Economic Trade Association meetings for many years. This warm and gracious lady did not confine her organizational talents solely to Montana, but also worked with the International Snowmobile Congress (ISC). She was its Montana delegate, Vice Chair of the Western Chapter and one of the first women to be an ISC Co-Chair and its President in 1978. The Congress honored her by naming its highest award the Nina Smith Achievement Award. 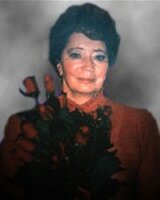 She was elected a member of the Iron Dog Brigade and later received its Distinguished Service Award in 1983. In addition, she was the first recipient of the International Snowmobile Industry Association's (ISIA) Special Achievement Award. The U.S. Forest Service honored Smith with a 75th Anniversary Award for her participation in the resolution of land use. Smith also became Snowmobile Magazine's Most Valuable Snowmobiler in 1980. 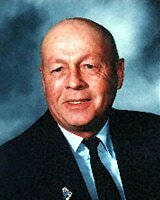 One of the three (3) original Polaris pioneers, Allan Hetteen, was on his way to help a neighbor, when he was killed in a tractor accident in November 1973. His memory as a trusted friend and helper for many remains in all whose lives he touched. His work as a creator, shaper and leader in the snowmobile industry, especially while he served as President of Polaris from 1960 to 1969, is especially important to an industry and to the small northern Minnesota community of Roseau. Hetteen cared about community and served his church as well as civic and business organizations. He founded Polaris with his older brother Edgar along with David Johnson. When Edgar left to start Arctic Cat, Allan remained with Polaris in Roseau, Minnesota. He took Polaris from the brink of bankruptcy to stellar success following the premiere of the successful Mustang series of Polaris snowmobiles. Hetteen did all this despite the fact the Board of Directors initially felt he might be too young to head Polaris. His part in the decision to turn the Company away from farm machinery and toward snow machines proved he was the right man for the job. He urged Polaris Industries to place less emphasis on the name Sno-Traveler and more emphasis on Polaris; A move which underlined a change from snow machines for trappers, foresters and others who worked in the woods to machines for sports enthusiasts. Early sales did not come easy and Allan had to work hard to sell the concept of snowmobiling to the public and investors alike. But he was persistent, feeling that "people would rather ride a hot little (machine) than a slow big one." The emphasis was on recreation and Hetteen was leading the way. He may have failed when the Polaris Comet did not make the profits he had hoped it would. It was during this near financial disaster that Hetteen's ability to get along with people, personal credibility and sincerity served him and the Company. His vendors gave him time to pay back Polaris debts and to launch the successful Mustang series. During his tenure as President of Polaris, Hetteen was able to negotiate an exclusive agreement with a Japanese engine supplier and to sell the rapidly growing company to Textron with the understanding that Polaris would stay in Roseau. After leaving Polaris, he founded Rosco, Inc. as a Polaris distributor for the Dakotas and Northern Minnesota. Hetteen was an active racer until 1965, when he won the Canadian Championship Power Toboggan races riding a Mustang. His pioneering spirit led to the founding and first presidency of the International Snowmobile Industry Association (ISIA). According to a nominator, Hetteen "recognized the need to unite the sport as an entity which could represent the industry of snowmobile manufacturers as well as those users who would create clubs and trails." Hetteen asked the ISIA to emphasize the responsible and safe use of snowmobiles and the creation of a North American network of recreational snowmobile trails on public and private land. From his appointment in August 1970 as the first trail administrator of a new program in Maine's Bureau of Parks and Recreation, Frank Farren, Jr. has worked tirelessly to build that program, form snowmobile clubs, develop trails, draft legislation and work with countless committees and thousands of public and private landowners over a sixteen (16) year period. According to the Commissioner of Maine's Department of Conservation, Frank was directly responsible for developing the first trails in State Parks, creating a grooming program, developing grant programs to fund trails and designing informational material to improve the sport. "It was during his tenure that Maine's snowmobile trail system took off," the Commissioner wrote. Under his leadership, the trails program grew from zero to 156 trail maintenance grants with local clubs, 61 municipality grants, distribution of free snowmobile trail signs, 10,000 miles of trails and an established liability insurance program sponsored by the state. Because of the rapport Frank built with the public, snowmobilers, landowners and legislators, Maine snowmobiling flourished. The key to Farren's success was his support of local clubs and their activities. His awards for dedication and devotion to outdoor recreation include a Certificate of Appreciation from the U.S. Department of Agriculture for his work with the White Mountain National Forest, a 1982 award by the International Snowmobile Industry Association (ISIA) for his guidance and leadership and also recognition as Snowmobile Magazine's Most Valuable Snowmobiler that same year. Farren was elected the first Chairman of the ISIA Northeast Chapter two (2) years later, further recognizing his dedication to the industry. 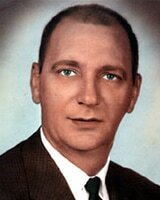 Maine's House of Representatives and Senate lauded Farren for his sixteen (16) years of leadership when he resigned from the Bureau in 1986. He had won a seat in the Maine State House of Representatives in December and served until 1994. As a State Legislator, Farren continued to develop and fight for snowmobile legislation to generate more funding for Maine's trail program. The Maine Snowmobile Association granted him a lifetime membership in 1986 and another Northeastern state, New Hampshire, gave him an appreciation plaque for his assistance and guidance in bettering that state's trail program. Much of the unprecedented growth of snowmobiling in Maine can be attributed to Farren's past work on its snowmobile program and the ability for the program to attract large numbers of out of state snowmobile enthusiasts to Maine snowmobile trails.